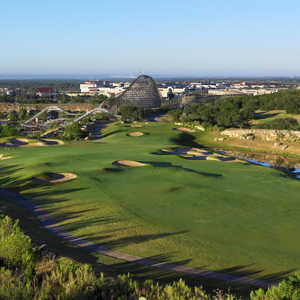 SAN ANTONIO -- When you think of public golf in San Antonio, The Resort Course at La Cantera, Hill Country Golf Club, the new TPC San Antonio - AT&T Oaks Course and Quarry Golf Club usually come to mind. But there are a number of high-quality daily-fee operations in the Alamo City that visitors should consider. A troublesome tree impedes the entrance to the green on the par-5 10th hole at Silverhorn G.C. Silverhorn opened in 1996, patterned after the successful Silverhorn track in Oklahoma City. 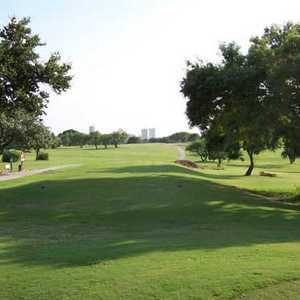 The design incorporates elevated greens and a significant number of dry creeks that criss-cross the fairways and front many greens-particularly on the back, where the dry creeks come into play on just about every hole. Silverhorn Golf Club should be near the top of the list. Operated by Palmer Golf Management, Silverhorn is a Randy Heckenkemper design that opened in 1996. Located in the northern part of the city between neighborhoods and shopping districts, the course seems remarkably free from civilization. Once you turn off Bitters Road into the entrance of the club, the city seems to disappear, replaced by pure golf. At Silverhorn, you won't have to worry about hitting it in somebody's yard. Heckenkemper, an Oklahoma State graduate who also crafted Silverhorn Golf Club in Oklahoma City five years earlier, worked with PGA Tour pros Willie Wood and Scott Verplank on the San Antonio location. The idea was to build a course that would not only test really good players, but also be enjoyable to the average player. They accomplished that by providing four sets of tees on the par-72 course, which ranges from 5,271 yards to 6,922 yards. 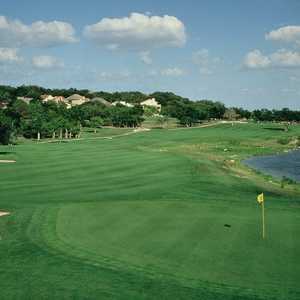 Silverhorn Golf Club is subtle Texas Hill Country golf. The land rolls through live oaks, brush and the occasional cactus. Creeks, both dry and wet, bisect a half dozen holes and run alongside several others. A large lake also plays down the left side of two of the more scenic holes on the golf course, the par-5 sixth and the par-3 seventh. The sixth, at 556 yards from the tips, is a classic risk-reward hole, enticing good players to hug the lake for a shot at the elevated green in two. The seventh, at 174 yards, also plays to an elevated green with the lake looming large to the left. The par 5s at Silverhorn Golf Club are particularly intriguing with no two alike. The 10th, for example, is very narrow, and although you can go for the green in two with a long tee shot, it will require a very precise fairway wood to get close to the green. The 18th is just 524 yards off the tee, making it a great match play hole. Players who hit big tee shots have to consider going for the green, which is tucked around a corner and protected by trees and a water hazard in front of the green. "I'm very pleasantly surprised," Houston resident Dana Simpson said after playing it for the first time. "I'd definitely play it again." Silverhorn Golf Club is just another example of how good the public golf scene, both resort and daily fee, is in San Antonio. Reasonably priced, the course is interesting, scenic and very well conditioned from tee to green. Although it's a very playable golf course, it is also a true championship test from the back tees. You don't have to be long, but you must hit the ball solid and know where it's going, given the many doglegs, water hazards and thick brush that often catch errant tee shots. Practice facilities at Silverhorn are certainly adequate. The large putting and chipping green is probably the best aspect. With the volume of play at Silverhorn Golf Club, the range has mats. That's good enough for warming up, but I wouldn't want to practice there on a regular basis. There is, however, a grass portion reserved for lessons. Headed up by Director of Instruction Rob Myers and Teaching Professional Luke Antonelli, The Academy at Silverhorn offers a full array of lesson programs. Beverage service both in the clubhouse and on the course is excellent. And the food at Silverhorn's inviting clubhouse grill is above average, offering a variety of sandwiches, beers and drinks. I really enjoyed my round at Silverhorn and would love to return for an encore !! The combination of great golf and greater mexican food makes San Antonio a must play !! !